When the kids get on or off a school bus, the bus lights flashes. When we are in a car and we pass by a school bus with her flasher on, we need to stop for the safety of the kids. 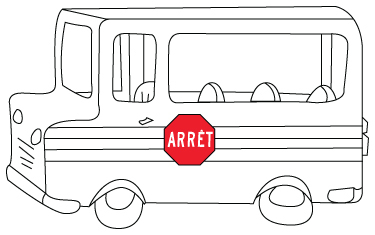 Here is a School bus coloring sheet.